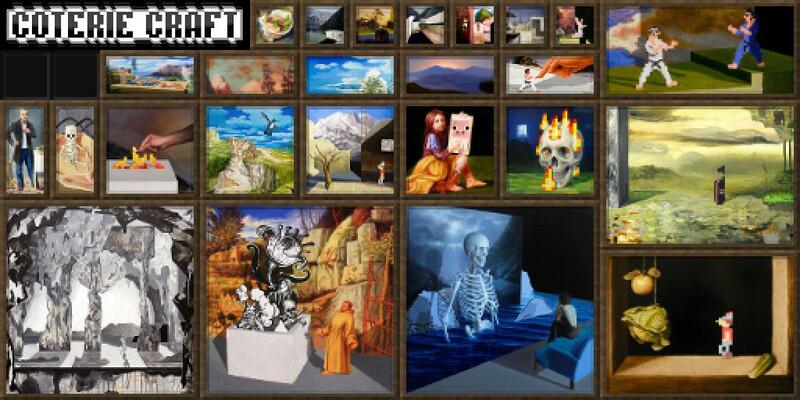 Coterie Craft is a "neo-faithful" texture pack determined to bring Minecraft the textures it deserves, while preserving the iconic feel of default's textures. Version V1.10_r1 - 9/5/16 - The 32x Update! Version 5s.39 - 7/5/15 - 3D Models Update! This update released on Cpt. Corn's birthday! Happy birthday! First of I wanted to say Welcome 1EnderMiner11 to the CoterieCraft team! - ALL forge mods have been moved to it's own add-on. This was done because otherwise this pack would be unnecessary big. And only people who use the mods needs those textures. - The Font has changed a little bit. Please note you need Optifine or MCPatcher to see these changes! Version 5s.36 - 1/1/15 - 4th Anniversary and New Years Update! Added Bottles, Splash Potions and Potions! As requested! Removed glass_puple.png because it is unneeded. Edited Villager Trading Gui -> Fixes the invisiblity of a locked trade. Added Red sandstone of all kinds, might changes in the near future to something more greenish red. -Improved intended compatibility change, as noted in V5s.00. -Earlier versions of Minecraft are now compatible with this pack (MC1.4.6 and below). -Reverted cobblestone and stone brick textures back to normal. >Top/Bottom-surface of all wooden log types. -Improved hardened and stained clay textures. -Improved wood, stone, and golden tool textures. -Fixed still water animation "delay." -Jungle planks now have a better color. >Moved CTM and Random Mobs (mods) to their proper folder. 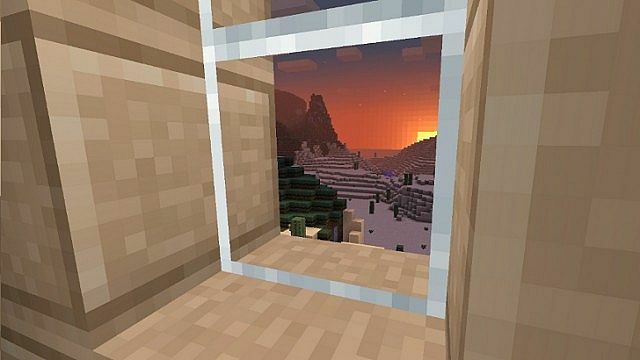 -Replaced mirror download with a Snapshot 13w25c compatible version of Coterie Craft. Since this download is compatible to MC 1.6's soon expected release, the download has been labeled as v4s.22. 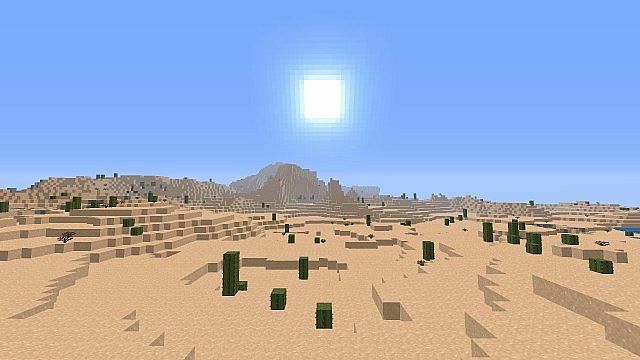 If there is no new snapshot version available, then a mirror download will be in its place. -Removed Pocket Edition support from this pack, so that an updated version can be uploaded as a separate pack on PMC for the users' convenience. -Revamped diamond armor models and sprites! -Changed the color of diamond armor sprites to match the diamond block more accurately. >Added three additional chicken skins. >Added four additional cow skins. >Added four additional pig skins. >Added one additional spider skins. >Added two additional wolf skins. >Baked potato is correct texture. >Firework texture added back in. >Firework star texture added back in. >Firework star overlay texture added back in. >Enchanted book texture added back in. -Fixed missing water, lava, and fire textures. 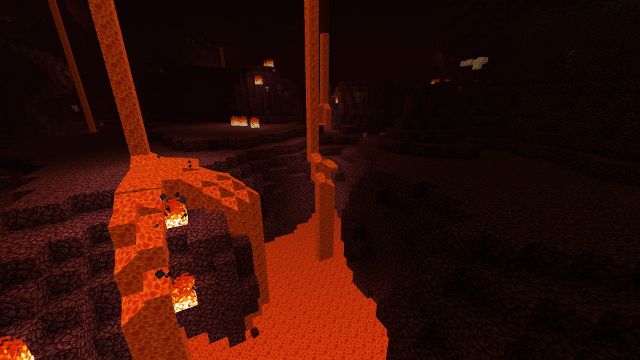 -Coterie Craft water and lava is now visible without use of MCPatcher or Optifine. -Replaced the new cobble with the old, iconic cobble textures. -Replaced emerald block texture with the familiar iron/gold/diamond texture structure. -Added temporary redstone block texture. -Added enchantment GUI buttons, deriving from Coterie Craft RPG. -Fixed a texture misplacement that involves portal animations. *Moved Pocket Edition content out of its designated folder, along with instructions for installation. -Now Snapshot 13W02A compatible, and confirmed compatible based on its new format. -Tweaked survival inventory GUI menu, found in Creative Inventory. -Now Snapshot 13W01B compatible, with default placeholders. -Slightly desaturated colored wool block textures. -Officially Pocket Edition 0.5.0 compatible, but block gui needs updated. -Lightened cobblestone textures for easier contrast between stone brick textures. -Mistaken previous MC compatibility with 1.4.5, now fixed for 1.4.6. 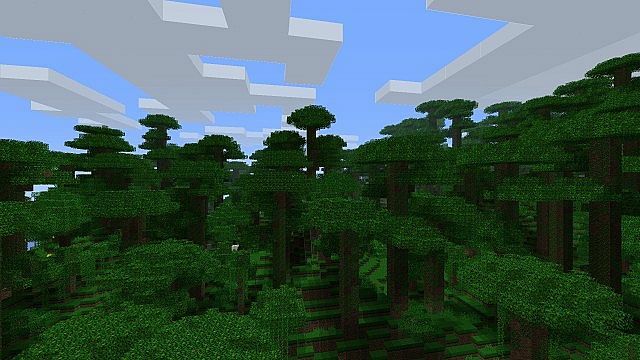 -Officially Minecraft 1.4.6 compatible, but Pocket Edition has not been updated yet. -Added new cobblestone and mossy cobblestone textures! "Today, this new year marks COTERIE CRAFT's 2 year-long history. It has been 5 months without an update, wherever I have left off is where I will now begin. 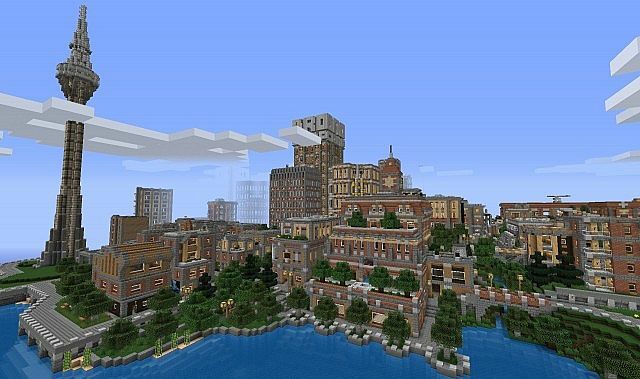 -Now Minecraft 1.4.2 compatible, featuring Pocket Edition 0.3.3 compatibility. -Revamped wool and colored-wool textures. -Added new beacon block and command block textures. -Edited pumpkin and watermelon blocks. 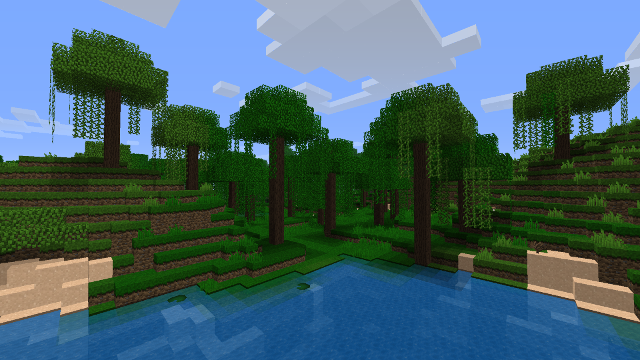 -Now Minecraft 1.3 compatible, featuring Pocket Edition 0.3.2 compatibility. -Sand-oriented textures no longer give pink color tones in the dark. -Tweaked oak and pine log textures. -Changed fast graphics-based side grass color to properly match with the side grass in large flatland mode. -Biome color will no longer have the possibility to change to black. -Improved grass and foliage color. -Improved glowstone texture and glowstone dust sprite. -Edited cobblestone textures to feel much smoother. >New texture structure (improved the "feel" and tiling of wood) similar to the old style. >Applied new wooden plank textures to their subsidiaries: crafting bench, CTM (bookshelves specifically), and backs of paintings. >Discovered that jungle wood is similar to that of Durian trees, both in log and plank color. Not like Kapok as some might say, even if they are both emergent trees in the rainforest. -Redstone dust trails no longer look flat; they got depth! 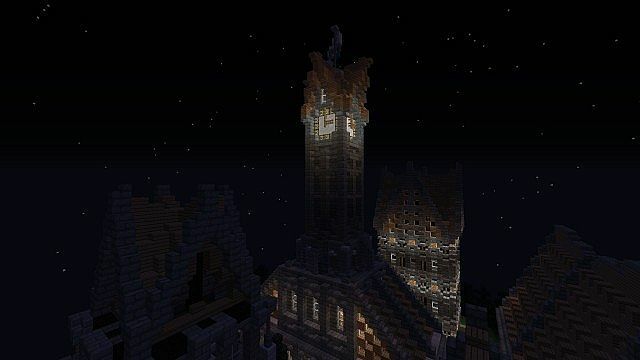 ~I also acknowledge that cobblestone, glowstone lanterns, and sandstone are the main priority in development. That, and Plethora needs to be updated as well. -Improved wooden planks to feel more like wood. -Fixed wooden plank depictions, whereas pine wood plank was mixed with jungle wood plank. -Added new wooden planks textures! -Refined Minecraft logo and new menu buttons. -Refined gui.png (menu buttons, language button, and player item panels). -Added pre-released 1.2 textures, as of 12W04A, but no new content other than stated above. -Now MC 1.1 compatible, but no new content. Note: Less Skyrim, more updates. -New sun and moon textures, including moon phases! -Added boss health bar, improved numerous icons. -New bowl and mushroom soup sprites. -New melon block texture (temporary, needs refinement) and melon slice sprite. -Improved item cursor (or whatever its actually called). -Fixed mob textures regarding the newer texture format. -Fixed iron door texture and door sprites. -Fixed over-saturation of Lapis block texture. -Introduced Version Number [T-427] to the title of this pack to indicate Plethora updates, which states for the number of textures capable for customization, rather than taking up space from the title with claims like "over 400+ textures!" >This will probably increase my download-to-view ratio, which, except for this week, has surpassed nearly all packs with an average ratio of 4 downloads every 7 views. 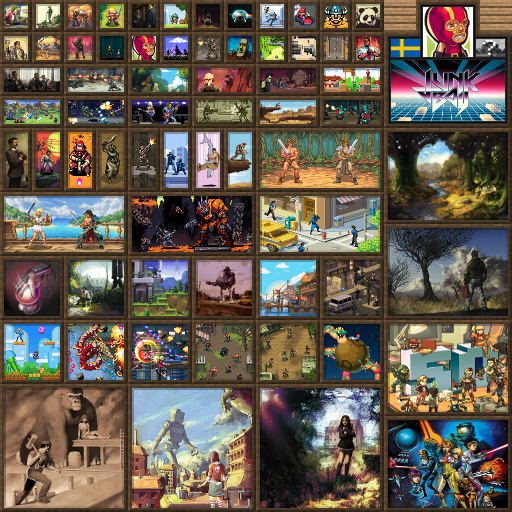 >Includes a total of 257 textures for 5 or so blocks and their subsidiaries. >Temporarily textured cauldron block and sprite. -Added new door textures and sprites. -Added new trap door texture. -Reincluded solid gold/iron processed blocks. -Replaced iron and gold blocks with their ingot/brick-styled alternates. >Affiliates with the panorama and Minecraft logo. -New menu buttons and player item panels. >Textured netherbrick, cauldron, and music discs. -Launched Plethora: The Coterie Craft Customizer! >Features 247 textures (diamond, gold, iron, wood plank, and glowstone). -Now Beta 1.9 compatible (mostly untextured, for now). -Added new epic Minecraft logo! -Added new gold, iron, and diamond block textures. -Textured vines (they still need some work). -Removed gravel pieces from side grass textures. -Edited snow side grass texture. -Fixed shield icon (half shield icon followed an incorrect format). -Fixed ice texture (accidental lack of transparency, 99% opaque). -Edited breaking animation, ever so slightly. -Added pre-released Beta 1.8 content (still in development). -Added 88 alternative glowstone textures in the [Alternative content] folder. -New leaf texture for fast mode. -New stone slab block textures. -Added new pumpkin blur vignette. -Delayed approved mods (as mentioned on MC Forums thread). -Added armor icons to inventory GUI. -Replaced and improved the 32bit sign texture with a 16bit texture. -Added new gold and iron ingot sprites. -Edited obsidian texture with a slight purple hue. -Increased the length of the chest menu title to fit the words: " Treasure Chest" for the Aether Mod. Apparently, you might have been using the darker blue water that was made especially for the Fall season that is no longer in development. 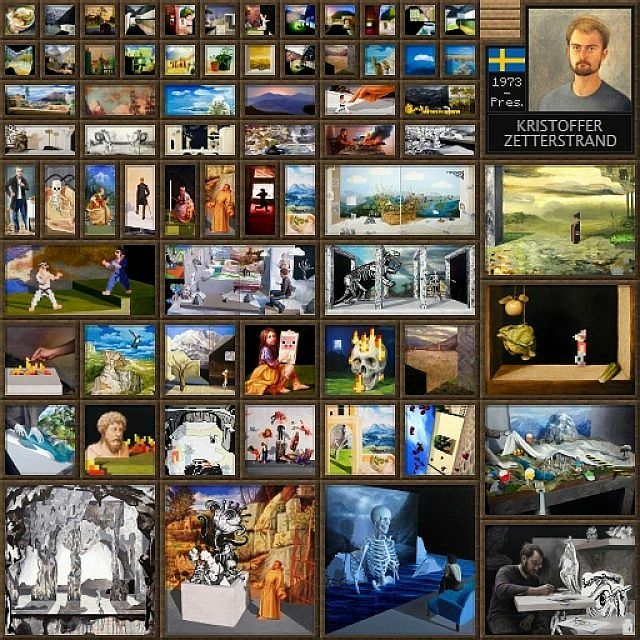 -Removed Wildgrass Support until the author updates. -Fixed potentially mispixelated armor models. -Edited pine and pine sapling textures. -Fixed and edited bed textures. -Edited lapis lazuli ore texture. -Edited minecart with chest sprite. -Edited torch, lever, and redstone, both active and inactive, torch textures. -Edited pine and pine sapling texture. -Added textured chainmail sprites and armor models. -Textured stone with a consequential edit to all the ores. -Redone all dye-oriented sprites, excluding the ink sac. -Edited raw and cooked fish sprites. -Edited bed texture and sprite. -Added edited default web texture. -Now compatible with the new HD patcher. >Installation instructions concerning the custom water and lava were removed as a result of the new HD patcher's simplicity. The [Add-ons] folder was also removed in consequence. -Added Beta 1.5 terrain and achievement textures. -Removed unnecessary Side Grass Fix from the [Add-ons] folder. -Provided instructions for custom water and lava installation. >I also moved those files to the [Add-ons] folder, just so you know. -Edited slime and string sprites. -Slight edit to pig mob. -Textured wooden and iron door sprites. -Textured bottom of cactus texture. -Added a second alternate sandstone texture. -Added a tad of sharpness to the wooden planks texture as well as all textures associated with it. -Added update Beta 1.4 particles with custom heart particle. -Added Risugami's Beta 1.4 compatible ModLoader and Side Grass Fix. -Added art folder, which includes my wooden planks texture. -Fixed personal upload errors with the previous 1.1 versions. -Redone light gray dye sprite. -Removed the [Add-ons] folder because Risugami's Grass Fix no longer works, until updated. -Added content from the Beta 1.4 update. >Terrain.png Grass fix for both downloads were still at compatibility of v4 of the Side Grass Fix, not v5, as it should have been. 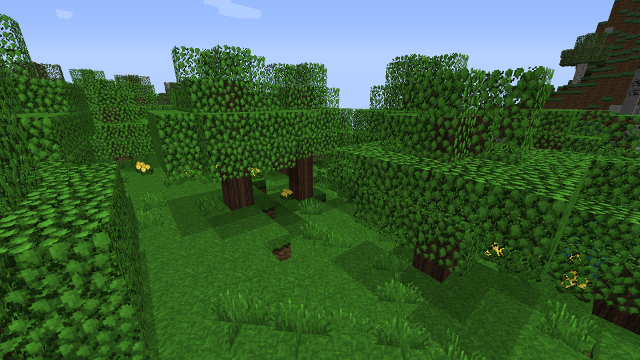 -Re-textured side grass for v5 of the grass fix, which has been added. -Black, gray, blue and brown wool textures has more noise. -Added the brick-style sandstone as an alternate texture inside the terrain.png. -Added Rabittt's edited wooden planks texture, along with the crafting bench. >I also added a very minor edit to the wooden planks texture as well as the crafting bench's 3x3 grid. -Re-textured lapis lazuli block, ore and sprite textures. -Textured stick, fishing rod, arrow sprite. -Added bonemouse's squid mob in the [Alternatives] folder. -Textured the torch, lever, and ladder textures. >with re-textured snow side grass. -Re-textured the nine standardize dye sprites. -Gave shading to the non-stardardized dye sprites, except the ink sac. -Top of crafting bench now has more noise. -Wool textures have more noise. -Wool textures have more sharpness. -Redone the sandstone under-side texture. -Redone sugar,bone, and bone meal sprites. -Added edited painterly water with animations. -Redone (possibly perfected) wooden planks texture, along with crafting bench. -Gave light gray dye sprite a bolder outline. -Redone lapis lazuli block and ore texture. -Added bone, bone meal, and sugar sprites. >added new moon and sun. -Added foliagecolor.png and grasscolor.png with the misc folder. So I'm hoping no one will have gray grass or gray leaves again! -Wooden planks texture is smooth, polished and refined. Equipped with the same color scheme. -Wooden planks-oriented textures (crafting bench and sign) have the same effect. The signs are so much easier to read! -Ice was a bit more opaque than I knew. Generally the same, but just a bit more transparent. -Revealed the creeper's true color. -Personal inventory character background was redone. -Signs were edited, but not so much. -Removed misc folder... didn't do a thing with it before. -Replaced sandstone texture with the previous one. -"Mojang Specifications" logo is fancier. -Edited minecart with chest sprite to match with what is now. -Resurrected and remade the quandary-style grass. -Remade dirt is accompanied with my quandary-style plowed texture. -Lapis Lazuli ore and block have been re-textured, again. -Birch wood is much better. 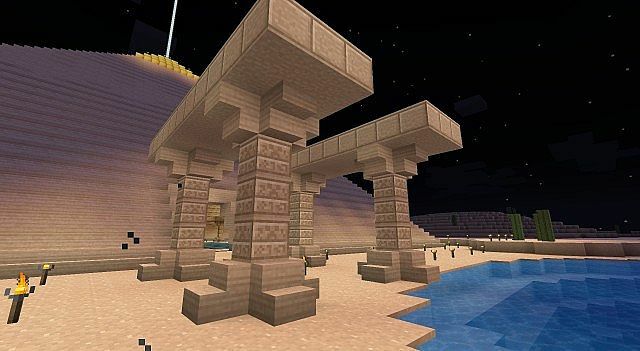 -Sandstone was changed for all the better. -Wooden Ladder lacked symmetry, don't know how, but its fixed now. -Flame particle effects were enhanced. -Edited Furnace and Dispenser top/surface. -Lapis Lazuli (ore) is quandary style. -Pine wood texture is quandary-ish. -Main menu is enhanced with edited bedrock background and sleek buttons. -Wooden planks texture is smoother and less spotty. -Bubble and flame particle effects were edited to match the quandary style. -A couple dark pixels were eliminated from the sand texture. So the sand texture is at perfection at last. -All helmet models have a much smoother look than before (excluding the leather cap model). -Leather tunic has smoother shoulder pads. -Discovered a pixel out of place on the side of the iron chest-plate model. -Added custom-made and personally designed quandary-style armor models! -Sand is whiter, and overall, a better texture. -Side grass and snow side grass now have shadows in their texture. -Surface grass is quandary style and now biome compatible. -Plowed land looks more moist as well. On account I gave it a darker midtone as the dirt did. -Snow Side grass is edited, matches with side grass. -Ice is more opaque (less-transparent) so it can be more realistic. -Obsidian is easier to see. It has a lighter midtone. -Diamond oriented block textures and item sprites have 12 more hue than before, giving it a slight blue tone that I just love. -Crafting bench is a darker wood color. Along with the small and large chests. -Sapling texture/sprite is from the Painterly Pack, but the bark was edited into a darker wood color to match the trees as well. -Red flower is edited from the Quandary Pack. Plant is a darker green. -Yellow flower is edited from the Painterly Pack. Plant is greener, in a way. -Fishingrod sprite has a black hook, rather than an orange one. So it could match with the hook that is doing the in-game fishing. -Minecart with chest is edited because of the darker wood colors mentioned before. -Bedrock is easier to see. -Sand is more, well... sand. It has a slight orange tone to match with both deserts and shorelines. -Added gui menus from Painterly Pack. -Quandary mobs were replaced with default mobs, for you can't beat the classics. 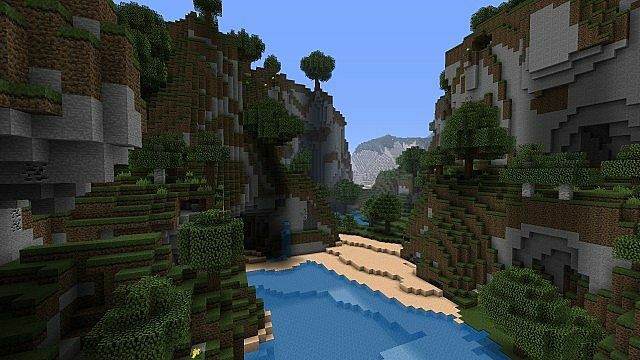 It all started with the Quandary Texture Pack, created by ExtraNoise, he set the baseline for this pack. 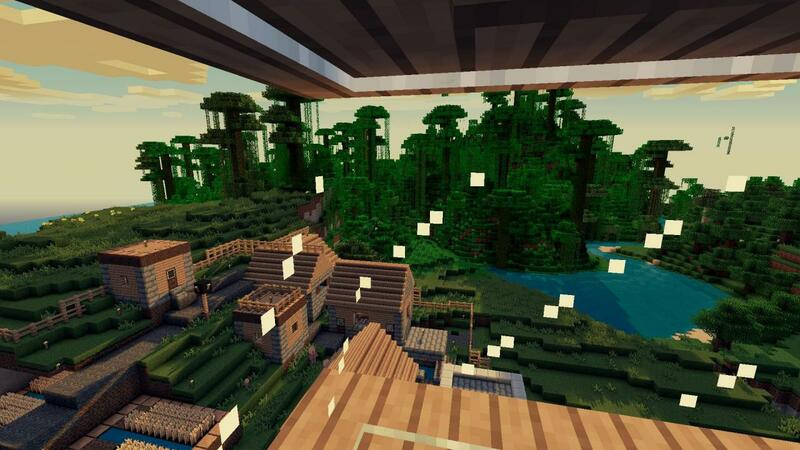 ExtraNoise was quite big within the texture pack community, widely known in the days of Minecraft Alpha for "sprucing up the default textures" and his assortment of seasons, by which changed the grass and foliage color to look coherent to the designated month and/or season type within the year. He would also contribute some of his textures to Rhodox, author of the Painterly Pack, such as the feather sprite to name one. But not too long after I got my Minecraft account, awarded through an honorable mention in the 2010 WoM Halloween Contest, I felt that his textures could be improved upon, or to at least have them look good in my Minecraft. 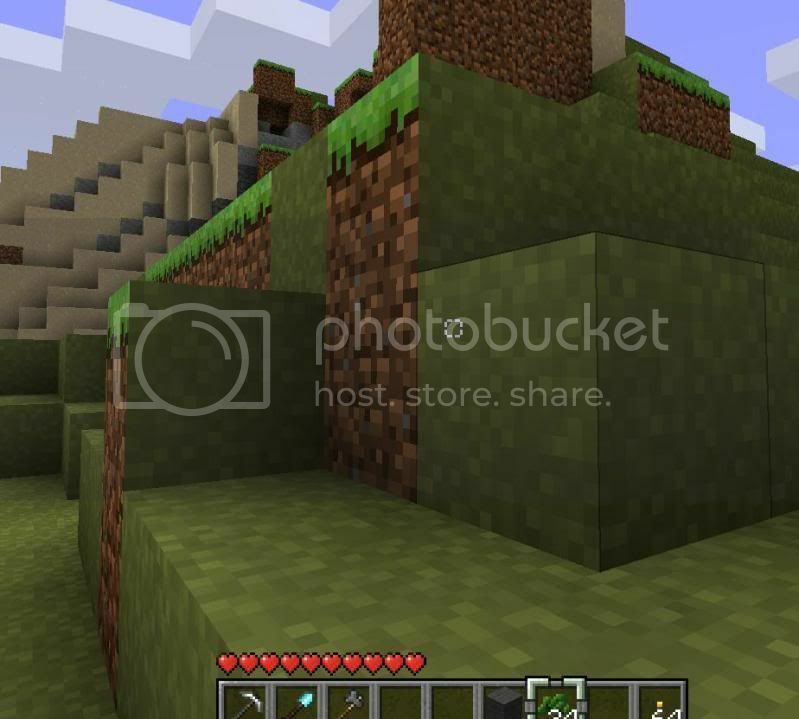 Thus, in the late December of 2010, was born the Best of Quandary Texture Pack. It wasn't much to be honest, but it had a purpose. Apparently ExtraNoise became unresponsive by this time, updates in his pack no longer came... and I decided to step into the scene to some degree. Bonemouse, a major contributor to Quandary for his outstanding mob textures (currently the author of his own pack, Isabella), supported my work, even if it was made rather simply through the basic mechanisms of "copy" and "paste." But then again it wasn't all that bad, I did some recoloring and knew how to apply smoothness... so I guess it was an 'OK' compilation at the time. Again, bonemouse was supportive and so were other members within ExtraNoise's thread on the Minecraft Forums, I respectfully gained supporters over time and met many great contributors as well as nice people, no longer on the forums now, but dearly remembered. To mention one of these people, with varying fascination towards each one of them, Morgus was the first to comment on my topic. But what was almost ironic about the matter was that ExtraNoise sponsored one of Morgus' comments as a kind of technique in presenting one's own content with words outside your own; he said, "Love it! [...] Many subtle changes while preserving the original atmosphere." Morgus then says to my pack, "Nothing to improve imho. I am using this with great pleasure." (probably using this version at the time) So I was kinda proud to have that initially positive feedback from the get-go. By this time I had already created my own quandary-style armor models based on the sprites that Quandary had... and it was a good update; bonemouse approved. Another person I'd like to mention, Axapez! He, along with many other contributors, had presented me with honest, unrestrained and well-appreciated, constructive criticism that helped this pack grow to greater demand. Eventually we joked about this "Axapez standard," whereas he would always have something to say for the better improvement of the pack, always giving me something to do as it would seem, and it was this standard that many appreciated when I upheld it, especially Master7432 and i_r_everyday_azn. As more and more improvements were made, the Best of Quandary Pack became less of a compilation and more of a revival of Quandary, considering ExtraNoise was gone for such a long time. The pack was then called Quandary Reborn, but the name was only fitting for so long. Eventually many of my old-time contributors began to fade, but new contributors came in the process, for whom were many fans of Quandary. ExtraNoise also came back after such a long time, and later incorporated my armor models into his newer version of Quandary, but with much unwanted change, such as his new cobblestone, it had many of his fans find a distaste in the newer Quandary and sought to it that Quandary Reborn would retain the old Quandary as they remembered it. My edits to the pack were entitled towards preserving Quandary, at least to the eyes of those who found my pack with much expectation, then to their disappointment. 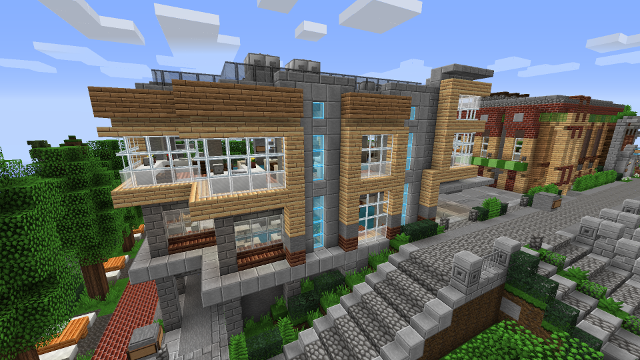 While many of my long-time contributors looked for ways to improve their Minecraft however way they felt necessary through the constructive criticism that they have always offered, my pack grew apart from the old Quandary look that many had desired and continued to take on a more independent role in fulfilling the needs of others who wanted an improved vanilla Minecraft look, so to speak. Two factions came out of this situation, but there was a way to resolve it. The name Quandary Reborn was no longer an accurate name for the pack it was, for it had grown more independent as I kept pouring more of my spin into the mix by making all kinds of edits to it's original foundation; all to their liking. Names were debatable at the time, and I tend to be very picky when it comes to names, but we found one that fit. The word "Coterie," by definition, was to represent a group of people who shared a similar interest, such as my fellow contributors at the time, then the word "Craft" was traditional generic for a texture pack name, but it fit nicely when it came together - Coterie Craft. As was the new and current name of Coterie Craft, established in the early March of 2011, fully independent from it's original counterpart with a goal to provide a more revamped version of default by improving the appearance and fervor of Minecraft, the Quandary name, on the other hand, is still a good one but has often been confused and wrongfully ridiculed due to my pack's similarities and surpassing success over time. A similar story can also be said about Dusty's Textures being used by Gerudoku, except no one has really given Dusty any noticeable credit for all the item sprites he made, whereas I hope that ExtraNoise's work, along with any other sources that I may use, are credited properly and noticeably, so that they may be supported for their efforts. Moreover, I hope this excerpt on my pack's history will serve some justice in providing evidence to the past and well-being for the future. The new helmets are great! Finally, I feel as though my guy is not wearing a box on his head! how would i instal this texture pack? [EDIT] The simplest way is to run Minecraft.exe and go to "Mods and Texture Packs", then "Open texture pack folder". Place the recently downloaded zip in the folder. Enable your new texture pack in your game. Click "Done", and begin playing. Why wouldn't you just put the zip in the "texturepack" folder? but could you please take the time to add 1.2 textures so i can use this? You will expect another update soon. Aaaaaaah....I love this. It's fixed the few tiny problems I had with the original quandry pack, and made it even better. These are great edits, all in all. I'll be keeping an eye out for your work. I do like your version of the Lapis, however I think Notch got his color wrong. I have my own which I think matches the darker version of quandary. Take a look and see what you think about it, I believe it closer matches the real thing. And here is a screen of real Lapis. Can you see what I mean? Removed Images because my bandwidth limit is getting fubar. Very nicely done. :smile.gif: I didn't even know lapis existed! Did you find this in-game? P.S. The dirt is a fusion of a moister default with quandary grass. [Edit] Version 2.5 is out! I'm thinking your problem might have something to do with your own doing of your texture pack(s). It's quite possible, another texture pack is doing the same thing. I wonder if it's because of the "Better Grass" mod. It may also be that you installed it wrong, but I doubt that... [Edit] I'm pretty sure its the "better grass" mod. By the way (anyone can answer this), how does my cloth textures look compared to default? This pack is so good even spam bots adore it!